What do Donald Trump, Dave Matthews, and the founders of AOL have in common? They all own wineries in Virginia. That should be a sign that the fifth largest wine-producing region in the country is exiting puberty and coming into full-on awesome. 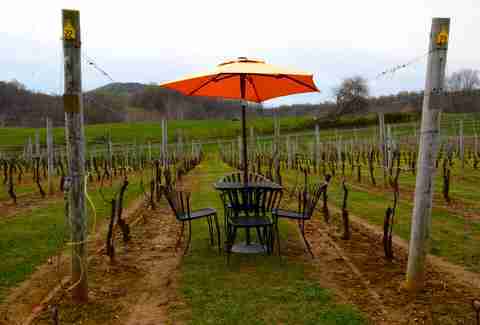 But choosing from 250+ wineries in operation is tough, so here are eight to hit for a mix of scenery, ambiance, and quality of wine. There are no stale, flavorless crackers that remind you of grandma’s house at Fabbioli Cellars to accompany your wine tasting. 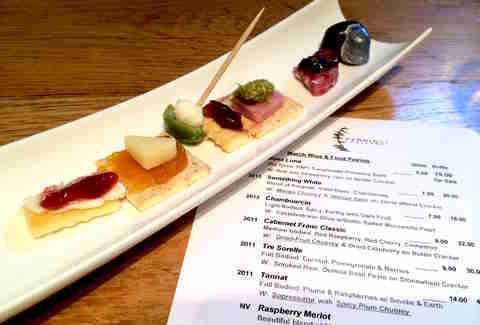 Instead, tasters are presented with a gourmet nibble to accompany seven wines. They’re known for their raspberry merlot, which is said to inspire amorous relations. Other picks include Chardonnay, Cabernet Franc, and "Something White." After you finish your tasting, grab a bottle and kick it by the fire pit. 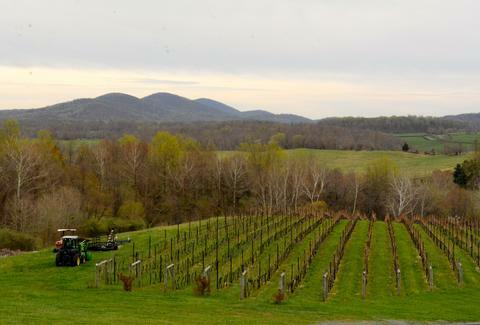 A visit to Early Mountain Vineyards, owned by AOL founders Jean and Steve Case, is kind of like a one stop shop for Virginia wine. 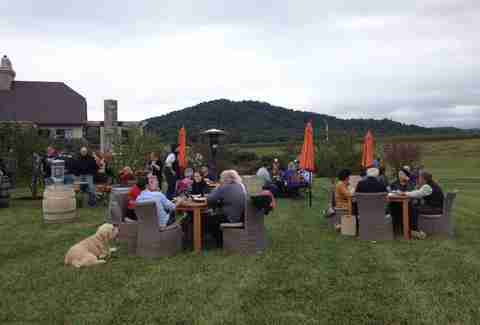 That’s because in addition to pouring its own fine wines, Early Mountain offers tastes of the best wines from other wineries throughout the state. Tastings are organized into creative flights of 2oz pours. 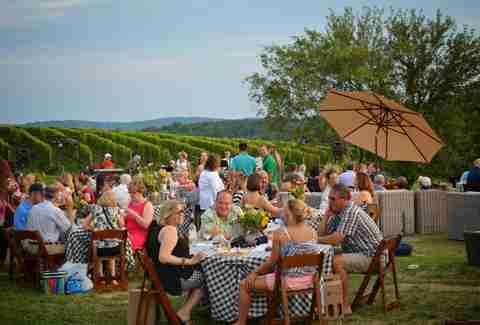 Early Mountain can also serve as a place to refuel during a wine tour because of its expansive food menu. Pork sliders, anyone? Time your visit with live music, or a movie projected on a giant screen under the stars. If you feel like you’ve been swept away to Tuscany while sitting among the vines at Three Fox Vineyards, it’s not a coincidence. The winery produces Italian varietals, including Nebbiolo and Sangiovese -- a rarity in the region -- and the couple that owns the place travels to Italy regularly for research. On weekends, the property is particularly bumping thanks to an outdoor barrel bar, bocce ball, live music, a golf cart that will take you from the top of the hill down to the creek to relax, and nibbles like pizza and BBQ. Linden is more introverted than its neighbors in that its goal is to bring guests a sense of tranquility. That’s why you won’t see busses full of tiara-wearing bachelorettes pull up (they limit groups to six people). This strategy lets Linden focus on wine, and it shows. Just try the 2013 rosé that is aged in a concrete egg. Linden offers regular tastings and special reserve cellar tastings. Splurge for the latter ($25) and head down to the guts of the winery to taste specialty wines and older vintages with senior staff. They’re offered Sat-Sun on the hour from 12-4pm. 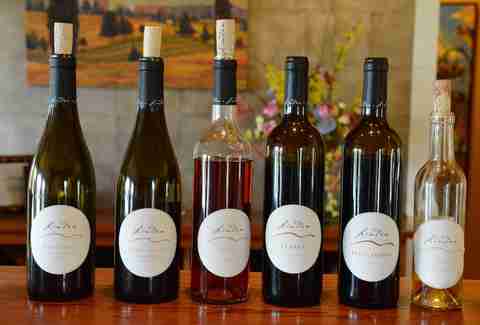 This family winery that got its start in California produces memorable Cabernet Franc and Meritage reds, and a tasty white blend of Viognier and Vidal Blanc dubbed "VX," among many others. The view is top-notch, but note that some of the best places to take it in are reserved for wine club members only. There are two different tempting tastings at this winery -- a basic, assembly line tasting of 22 wines in the Tuscan Tasting Room and a specialty tasting in the Library on weekends. The latter is where you’ll taste more interesting vintages alongside small bites ($20). Barboursville Vineyards is best known for a red blend called Octagon that combines Merlot and Cabernet Franc, though it’s not always available for tasting. There's also a restaurant and an inn, if you want to do more than pop in for a tasting. 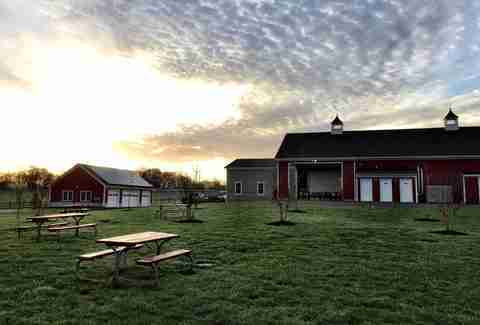 The Sunset Hills set up reminds you that growing wine is a form of farming thanks to its signature big red barn that creates a cozy atmosphere, even in the dog days of summer. 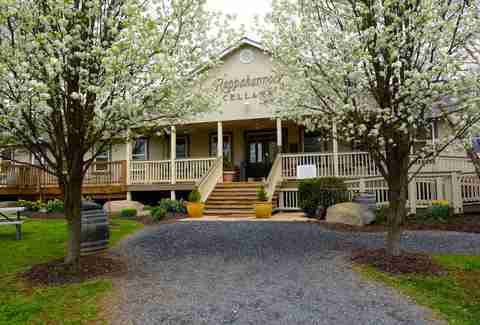 It’s one of the closest wineries to DC, so expect crowds to the point of a busy-bar vibe, especially on weekends when there’s live music. Sunset Hills’ 2012 Reserve Cabernet Franc recently received a gold medal at the Governor’s Cup. Generally, reds are its strong point. Stone Tower Winery has a choose-your-own-adventure set up, meaning your time there can be as intensely wine-focused as you’d like. 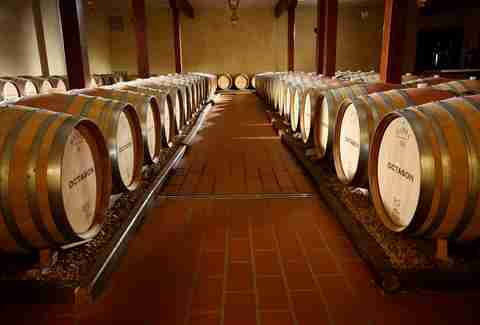 Tours range from a winemaker-led behind-the-scenes experience ($80) to a winery tour with wine & cheese tasting ($35). Renovations that will transform the property are currently being finished up. This is a good stop for white wine drinkers.